Dr. Frank Moncher, a clinical psychologist and consultant for the Diocese of Arlington, VA and Catholic Charities USA, speaks to the struggles many adults experience in caring for their aging and infirmed parents, and addresses the growing trend of assisted suicide. Furthermore, Dr. Moncher offers insight towards how our faith both influences our view of suffering, and guides us through a difficult period of life. JOHN RUSTIN: Thank you for joining us for Family Policy Matters. As the Baby Boomer generation ages, more and more American families are facing the sometimes overwhelming prospect of making difficult decisions regarding end-of-life medical care for their parents or grandparents. 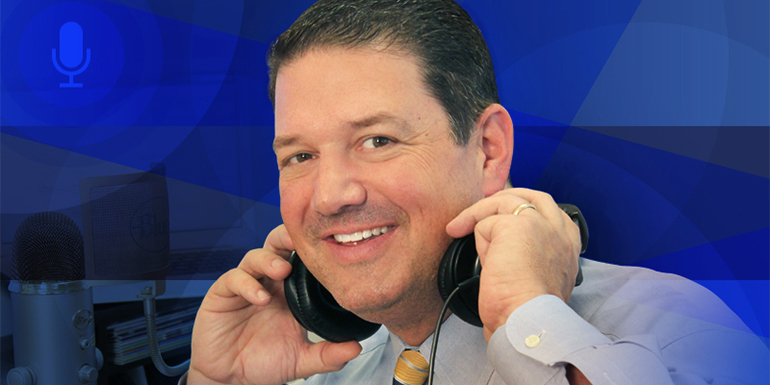 Our guest today is Dr. Frank Moncher, a consultant for the Diocese of Arlington, Virginia, and Catholic Charities. He has taught both undergraduate and graduate studies in psychology, particularly focusing on the integration of psychology with the Catholic Christian view of the human person. Dr. Moncher has published journal articles, book chapters, and blog posts on a number of topics related to children, family, and religion, including writing for the Culture of Life Foundation about how families can support suffering elders. Dr. Moncher, welcome to Family Policy Matters. It’s great to have you on the show. FRANK MONCHER: Thank you for having me, John. JOHN RUSTIN: Dr. Moncher, as I mentioned in my introduction, a growing number of adults in America today are being confronted with how to best care for elderly parents and/or grandparents who are nearing the final stages of life. No doubt, these are difficult times and difficult situations that raise a series of difficult questions and challenges. What kind of trends or changes have you seen in American culture in recent years regarding how our nation is caring for the elderly? FRANK MONCHER: I think what’s been going on nationally for probably decades now is an increased sense of independence of children from their families. As technology has allowed us to move about more freely, it’s rarer and rarer that children are living close to their aging parents. And so we’ve got a loss of, what was, a time-honored tradition of families being close together, and parents aging within one community close to their middle-aged children who would be available to care for them. And now we’ve got a situation where aging parents may be living quite a distance from any of their children. And so I think that does present new challenges. JOHN RUSTIN: Interesting. I think that makes a tremendous amount of sense as mobile as our society is, clearly those tight bonds and physical locality that used to exist, more and more are not there as much today. Dr. Moncher, I know you’ve written about the way in which verbal engineering leads to social engineering, which certainly brings about changes within our culture. Talk about this a little bit, if you would, sort of explain that idea. And then describe how these factors have impacted our society’s perspective toward the elderly and infirmed and the role of families in providing care for them. FRANK MONCHER: Yes, our society has become impacted in challenging ways, I think, by alternative views of the human person. The Christian view of the human person, of course, is pretty clear and straightforward: man was created as male and female; life is a gift, which comes with certain responsibilities; the family is the primary social unit and has great meaning. These ideas are radically different than some of what we see in society. The classic example would be when it comes to the issue of abortion, where language has changed how people began to see the killing of an innocent life. And the label of course was being “pro choice” and “choice.” Who could argue with that? And we’re seeing a similar thing happening in this idea of caring for elders at the end of life. You know, what was called euthanasia or mercy killing then has morphed into physician-assisted suicide. And now suicide is apparently a bit too harsh, and so there’s this kind of changing of the languaging now to calling the same idea of hastening the death of an elderly person as “medical aid and compassion.” I think it’s this that we need to be fearful of because it really puts the wrong idea into people’s minds about what’s happening in the hospital situation. JOHN RUSTIN: That’s so true. And I think, as you pointed out, we see that. It’s kind of he who controls the language, controls the debate in lots of circumstances and in lots of arenas in our culture, and this is clearly one of those. In addition to the language, how have you seen the good intentions of say family members and physicians who want to alleviate the suffering that elderly individuals may be experiencing? How have those good intentions sometimes led down the dark path of hastening death? FRANK MONCHER: I’m glad you highlight the idea of a good intention because we don’t want to speak about things that happen at the end of life when loved ones are suffering, as if most people are callous. You know that there are good intentions there. And yet people can become confused in sorting through what to do when death is imminent. When it’s time to let go of a loved one whose end of their natural life is coming and extraordinary efforts of any sort really aren’t going to prolong the life, and thus can do damage or certainly not do good, versus, allowing a person to live with some element of suffering because their life still does have meaning and death isn’t imminent if they’re well cared for. JOHN RUSTIN: Dr. Moncher, how can relatives, particularly adult children, be well prepared to assist their elderly or loved ones in making medical decisions when that time comes? FRANK MONCHER: I’d like to think of this in terms of our understanding again, of a Christian view of the human person, and of course we are made with free will and with inherent dignity. And it’s important to honor the dignity of the aging person or the infirmed person, by discussing with them earlier rather than later what their desires are. It’s very difficult to do that in the midst of a crisis or once things have begun to deteriorate. The best recommendation that I’ve read is that in that discussion with the person who might be facing a demise at some point, is to have them designate what’s sometimes called an agent or a surrogate through this process called a Durable Power of Attorney. Someone who they trust, who understands the dignity of human life, who understands what our Christian faith teaches us about how to manage things at the end of life, and how suffering is not always a bad thing. I know there’s other mechanisms for doing this that are more quickly done, checking boxes and signing forms, but with technology and medical treatment changing the way it is, I think you really want to have someone you know cares about you, being your spokesperson at the end of your life. JOHN RUSTIN: Are there certain instruments that you would suggest that elderly individuals may consult with their children or loved ones about, that could help them express what their desires are, if they are in an end-of-life situation? 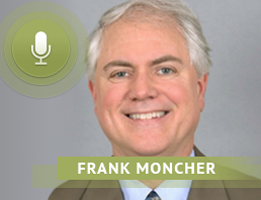 FRANK MONCHER: There are certainly things available that can guide you through how to do these types of directives. But there’s some cautions out there because some of these instruments have gotten very popular, but they’ve been endorsed by, what used to be called, the Hemlock Society, now it’s called Compassionate Choices. They’ve tried to move towards some forms that really, at the end of the day, are going to hasten many people’s death. And so there’s probably no substitute for having someone you trust being able to engage in the dialogue with the doctors and physicians when the time comes. JOHN RUSTIN: And I think having those, what can be difficult decisions but really necessary, discussions about the types of care that those individuals desire and the level of care and things of that nature. Dr. Moncher, what are some of the most common obstacles that you see to patients and families making good ethical and compassionate decisions related to medical care and treatment for the elderly? FRANK MONCHER: I think the obstacles generally center around the idea of fear of suffering, or a misunderstanding of suffering, and not realizing that the time of death is really in God’s hands and that thus has been something that God knows before. And to fear suffering to too great an extent, or to misunderstand it, can really get in the way. We have to understand that it may be in God’s permissive will that some suffering occur for reasons that are not immediately evident, and so to hasten a death, or to try to avoid all suffering—which often times would be the argument made by the groups that are campaigning for euthanasia or physician-assisted suicide—to avoid all suffering may not actually be the best thing. JOHN RUSTIN: Talk about that a little bit, maybe in the sense of palliative care and hospice care, and the role that those types of care can play in ensuring that individuals who are suffering do experience a dignified, natural and ethical death. FRANK MONCHER: Those types of care I think are crucial. It’s so important to recognize on the flipside that just because there is some merit in joining our suffering with the suffering of Christ, it doesn’t mean we should not make available to loved ones every possible relief in palliative care. Medicine has grown enormously in its ability to provide relief from suffering without hastening death. JOHN RUSTIN: Oftentimes I know that relatives who go through, with a parent or grandparent, end-of-life situation, can feel regret or concern that they may not have done enough or they may not have done the right things, and that can really lead to a longstanding sense of regret or concern. What can relatives do to guard against being left with a sense of regret as a result of a feeling like they haven’t done enough, or maybe didn’t do the right things for a loved one who is in an end of life situation? FRANK MONCHER: Those are very, very difficult situations. Partly what would be recommended is the idea we had talked about before, where having the difficult, but I think very necessary, conversation before things get too far down the path of looking at what the needs, wants and desires of someone might be. There’s not a lot of research on what happens to those who are left behind when there’s an assisted suicide—it’s a relatively new phenomena. Pulling from other research, I suspect that it’s going to parallel what we call complicated bereavement. It’s going to be a longer healing process, grieving process. And at the end of the day, a family is going to have to come to terms with a family member who may have been lost through assisted suicide, with some aspect of forgiveness, in trying to just come to terms with understanding, that people make decisions sometimes without all the information available, and to find a way to foster healing among relatives who remain behind. JOHN RUSTIN: Dr. Moncher, we’re just about out of time for this week, but before we go, I want to give you an opportunity to let our listeners know where they can get more information about navigating these difficult medical and end-of-life situations that we’ve been talking about today, and also learn more about your work. FRANK MONCHER: The work I’ve done that led to our talking today is through the Culture of Life Foundation, which is a nonprofit organization devoted to trying to help people understand what can be quite complicated issues around the culture of life, that are important for everyone to understand. And so we try to translate that into brief articles that get to the point as quickly as possible. And if people want more information, there’s always references included in the articles that can take them to more detailed resources. The work I’ve done there is supported by other Christian bioethicists who have written more extensively on end-of-life issues: Dr. Christian Brooder and Dr. William May in particular. I would encourage people to look up both of their articles on the Culture of Life Foundation website, culture-of-life.org, where you’ll find much more information. JOHN RUSTIN: Great. Thank you for that. Listeners, if you find yourself in a situation where you’re caring for a loved one who is in an end-of-life circumstance, please avail yourself of this and other helpful information. These can be difficult times and difficult circumstances, but as we as believers apply love and truth and grace in the midst of these challenging circumstances, I think we can truly experience a deeper level of love and care. Not only our love and care for our loved ones and their care and love for us, but also that of our Heavenly Father. So please take advantage of these valuable bits of information. And Dr. Frank Moncher, I want to thank you so much for taking time out of your busy schedule to join us today on Family Policy Matters.